In contrast to conventional “stick-built” construction at a jobsite, off-site construction consists of planning, designing and fabricating building elements in a factory-controlled environment for rapid assembly in a “plug-and-play” fashion at the jobsite. Off-site building elements can incorporate a wide range of materials made into many sizes and configurations, such as individual components, flat-packed panels and volumetric room-size modules. They can be designed as both structural and enclosure systems integrated with multi-disciplinary functions, such as fire rating, thermal, air and vapor barrier, electrical, plumbing, HVAC, aesthetic effect and interior finish. This method of construction reduces waste, promotes sustainability, compresses time schedules and overall, results in better quality products. The OSCO Chair in Off-site Construction will be a leading specialist in the field and build on the faculty of engineering’s current strengths in civil engineering and related pre-manufacturing technology. He or she will seek opportunities for partnership within the university and with world-renowned construction experts. UNB boasts a unique combination of strengths in research, teaching and entrepreneurship that facilitate growth in this important sector of Canada’s economy. Many civil engineering faculty members have international profiles, with expertise in the fields of construction, materials, structural, and transportation engineering. 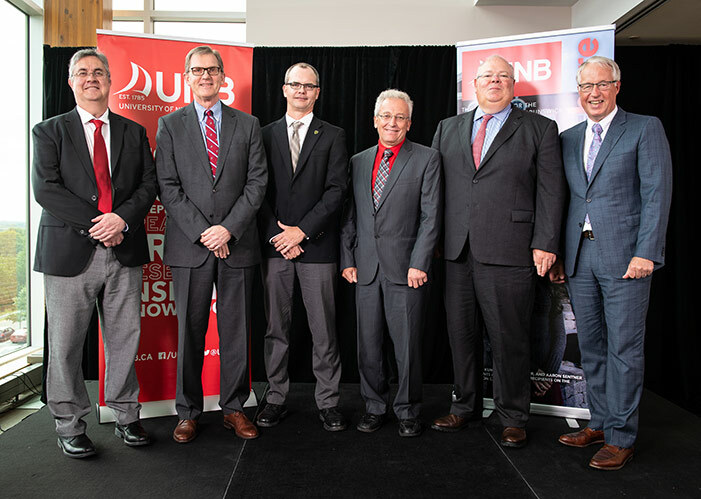 Hans Klohn, president of OSCO Construction Group, believes that the investment in research at UNB will build critical capacity in this emerging area of construction. The OSCO Construction Group is a collection of companies operating in concrete, steel and construction. OSCO has been in business since 1955, and serves a variety of markets throughout Canada, the Eastern US, and the Caribbean. The Group is based in Saint John, New Brunswick, and operates offices and plants in New Brunswick, Nova Scotia, Prince Edward Island, Maine, Massachusetts and New York.